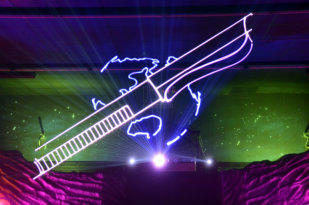 Origin and success story by laser (beam show and laser graphics) for the company anniversary of 75 years Schneider Pen in Donaueschingen. 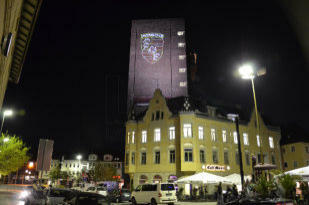 At the company‘s anniversary of 250 years Faber Castell in Nuremberg, we created their important cornerstones in the success story of the company by lasers. 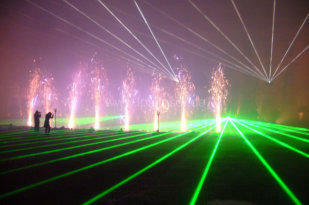 Openair laser show with fire fountains for the celebration of 125 years automobile at the Schloss Ludwigsburg. 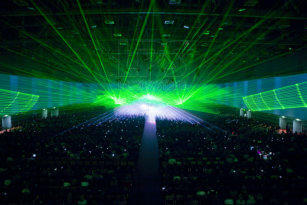 Openair laser effects and laser graphics in Pandoras Room 3D for the Dinosaur World Expo in South Korea. 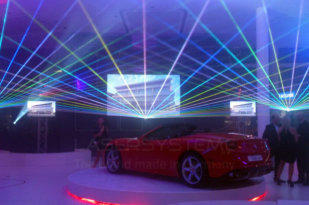 Laser effects and laser beam show on the exhibition stand of Ferrari in South Africa. 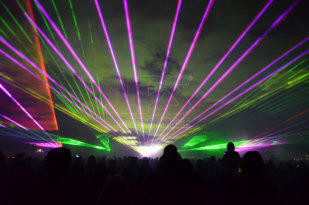 Openair laser show for Landesgartenschau in Nagold, additional SkyLaserBeam from the castle ruins of Nagold (Distance approx. 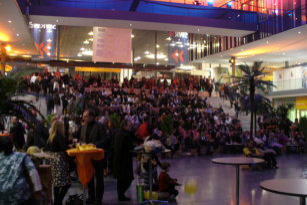 2 km). 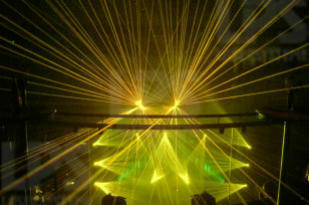 Openair laser show for Landesgartenschau in Villingen-Schwenningen. Various company logos and building frames with lasers in the PORSCHE Carré Schorndorf. 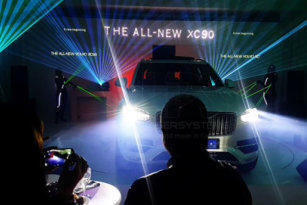 Laser show for product presentation and company celebration of BMW in Munich. 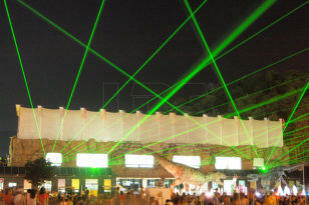 Laser show for the celebration of the grand opening ceremony of the CMT Fair in Stuttgart. 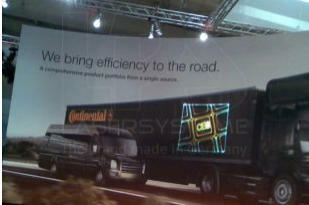 With special laser graphics, Continental ensured even more attention at its exhibition stand in Frankfurt a. M., Germany. 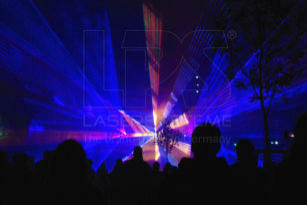 Openair laser show for Landesgartenschau in Villingen- Schwenningen.